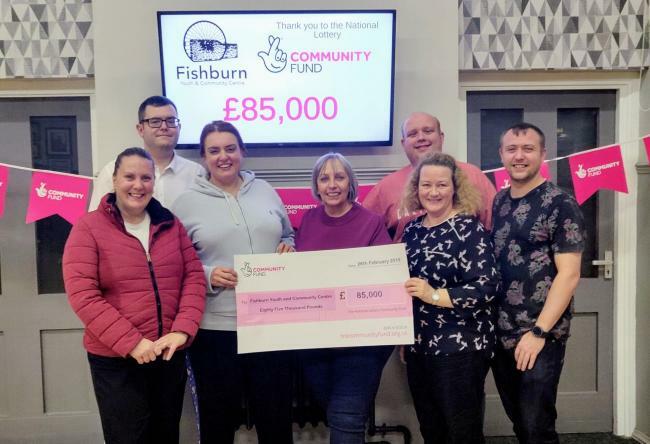 One of the community groups that Durham Community Action has supported with funding advice is celebrating after being awarded £85,000 from the National Lottery Community Fund - securing staff salaries for three years and helping fund new projects and cover operational costs. Durham Community Action’s Community Support Officer Tracy Emery acted as a ‘critical friend’ to the group helping them to source funding and reviewing their applications. Four years ago, Fishburn Youth and Community Centre faced being demolished, to allow access to a housing development, and replaced with a smaller facility. The management committee resisted the move and has since taken on a 30-year lease of the youth club building and a field behind the community centre from Durham County Council. The community centre building is owned by the local community, held in trust by Durham County Council and is managed by the committee. Chairman Michael Parkin said staff and volunteers put 'three painstaking years of producing business plans, cash flows and negotiations' into securing the centre's future and the grant was also great news. He said: "The transfer secures an essential community asset for the next 30 years allowing for the continuation of our extremely popular youth club which is currently averaging around 70 young people per night from villages near and far. From the bottom of our hearts we would like to thank all staff, volunteers, groups, funders and other organisations that have played a part in helping us achieve this outstanding success." He paid tribute to centre manager Lynne Watson, who he said had exceeded her objective of securing funding to cover her salary and that of support staff and to run community projects. "It gives us great pride to say that Lynne has gone way above this expectation and the amount of funding secured has supported the staggering transformation we have undertaken making us stand head and shoulder above all other local venues and businesses. "Approximately four years ago the management committee faced an ultimatum of losing both buildings to make way for a proposed housing development or stepping up and taking full responsibility for the maintenance and running of the buildings. "We hope you all agree the decision to stand our ground and believe in the abilities of our incredible volunteers has been the best decision anyone in this village has made in a long time," said Mr Parkin. "The funding will allow us to focus on the delivery of projects that will benefit all members of our community, as well as work on other ideas we have to further improve the buildings." Durham Community Action would also like to thank Lynne who spoke at our last Share and Learn meeting about her approach to fundraising and the successes she has achieved. This sharing of good practice was of huge value to those attending the meeting, giving them ideas and top tips on how they can effectively fundraise for their organisations.